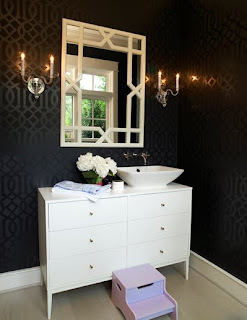 I used to think wallpaper was a design staple of every grandmother's kitchen and bathroom. Flowery printed wallpaper in dull browns accented with bright cherries and flowers that had your head spinning. 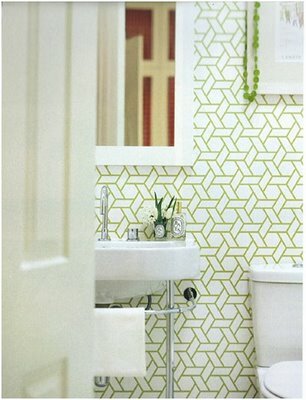 In fact, wallpaper now is a work of art. A creation to behold in any room of the house where you wish to add pattern and texture, as well as an unexpected design. Here are some of my favorite trellis wallpaper prints to use throughout the home. 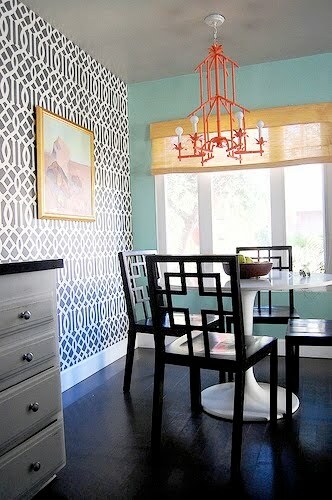 Trellis wallpaper adds dimension, height and a bold, unexpected touch to any room. Check it out.